The RigTag® is our most sought after product, made from durable nylon with a duel clasping mechanism. Our RigTags have a variety of purposes, however they are most commonly used to identify periodic inspections on lifting and rigging equipment. 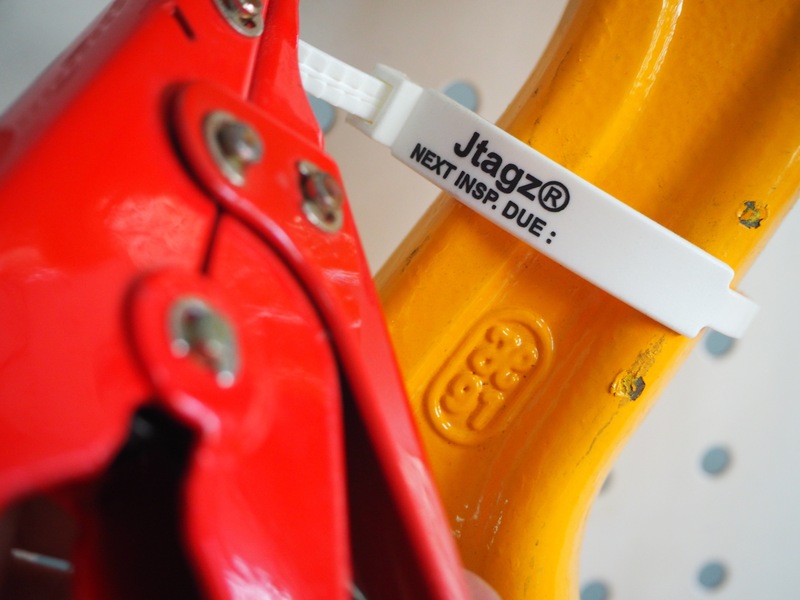 Jtagz® RigTags will endure the harshest performance conditions and last the distance every time. Our RigTags® are the only inspection tags on the market that offers tamper evidence. Once applied, the RigTag® fastening system develops an almost unbreakable bond. With safety in mind, our Tamper Evident tags have been designed so that you can easily detect if they have been removed and reapplied.